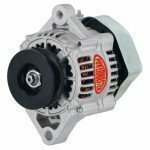 Intelligent compromise has been central to Kaase’s success in aftermarket engine sales. 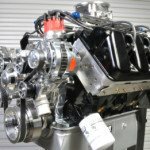 For example, raising induction ports in his street-style cylinder head designs would unmistakably increase power output: “But we’d sell half as many engines and components because they are no longer universally affordable—they’d require custom intakes and exhausts.” His memories as a 22-year-old, burning the midnight oil while attempting to compete in Pro Stock and with no money, remain vivid. 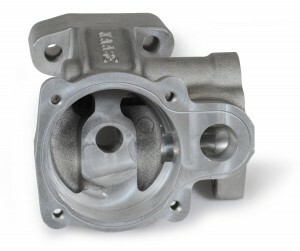 Here is Kaase’s latest news for the battalions of big-block Ford enthusiasts: a new, aluminum, direct bolt-in oil pump. 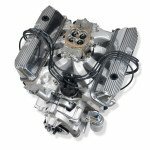 Winder, GA: One of the main problems that beset tuners of big-block Ford engines is oil pump failure. The casting develops a fracture at the section change around its mountings, which rapidly propagates like a sound wave and the oil pump falls into the oil pan without warning. It is a sobering, unwelcome drama that’s best avoided. 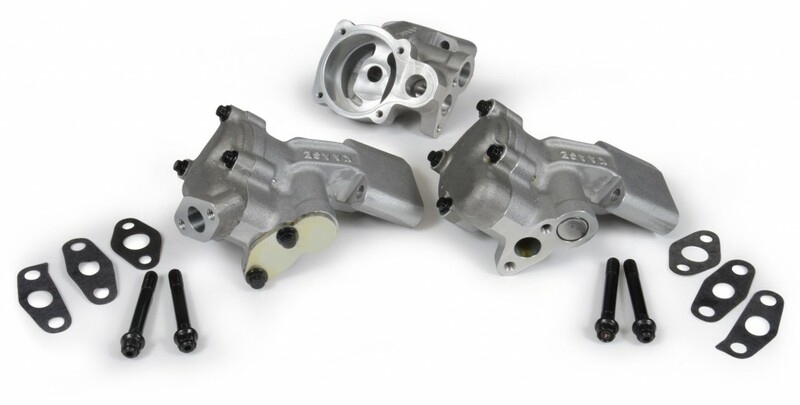 Though the stock oil pump behaves reliably within its stock environment, for engines that are tuned or modified, oil pump failure is almost inevitable. 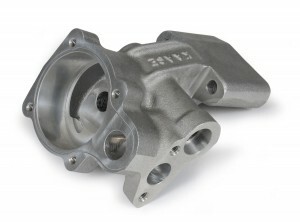 To survive this hazard Jon Kaase Racing Engines introduced a robust, upgraded, cast iron oil pump in April 2009. Now the firm has released details of a new, vastly lighter aluminum version to supersede their earlier iron units. 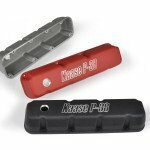 Available for front sump or rear sump applications these new Kaase pumps retain their sturdy, long section mountings and use the same impeller mechanism employed on their championship-winning Kaase 820 CID Pro Stock engines. Equipped with dual oil feeds to the rotor to improve idle and high-rpm oil pressure, they are supplied with the necessary gaskets and the highest grade ARP mounting studs and 12-point nuts. Sharing the same main body, the front-sump pump suits earlier muscle cars and can be recognized by the angled flange at its inlet port. The rear sump pump, the more common of the two, accepts the long pick-up tube that takes its oil feed from the back of the engine. Priced at $275 these new pumps accommodate stock and aftermarket oil pickup assemblies and are bench-tested before shipping.